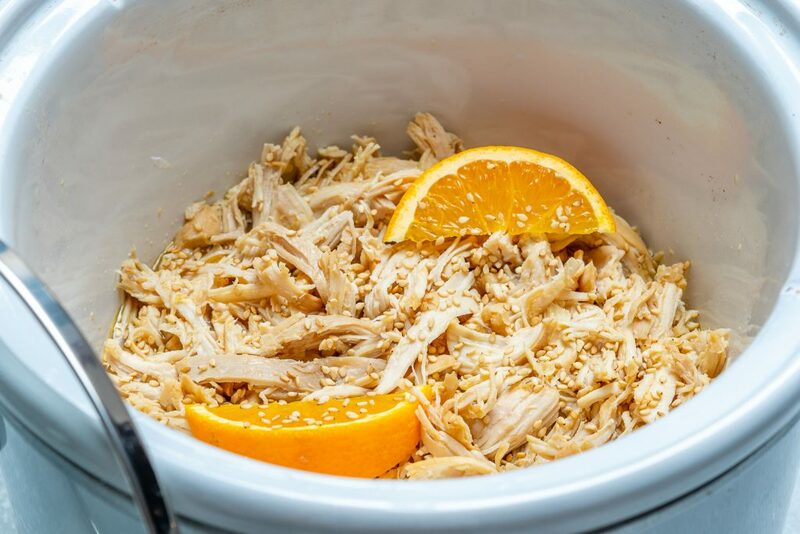 Crockpot Orange Sesame Shredded Chicken Makes Clean Eating Easy! Happy New Week! 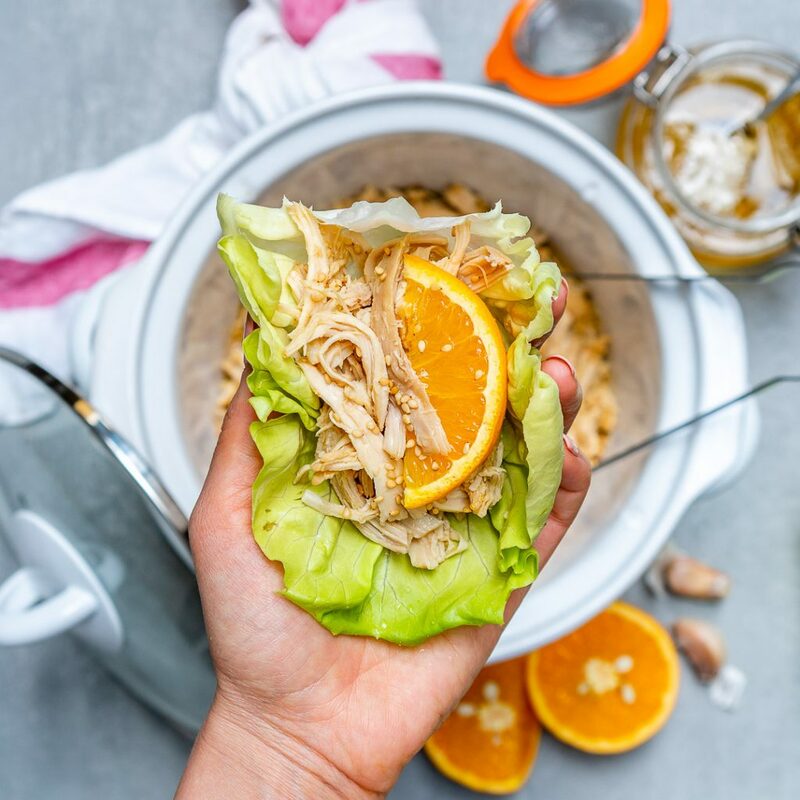 💪Here is a super tasty recipe to make your week easier, and brighter! 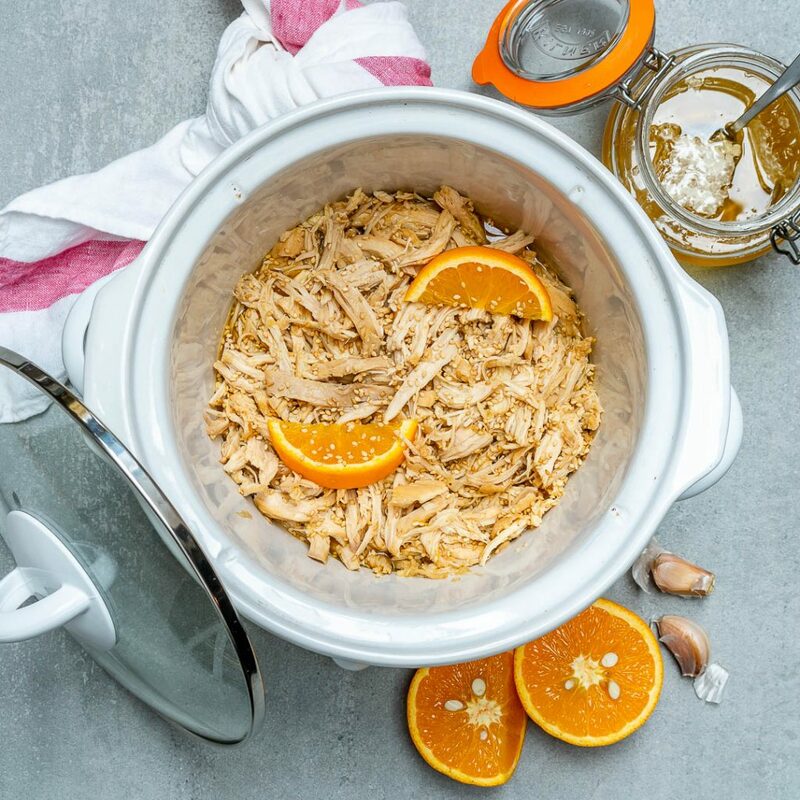 I LOVE the citrus flavors, and the simplicity of the crock pot for busy work days. In a small bowl whisk orange juice, broth, soy sauce/aminos, honey and minced garlic. 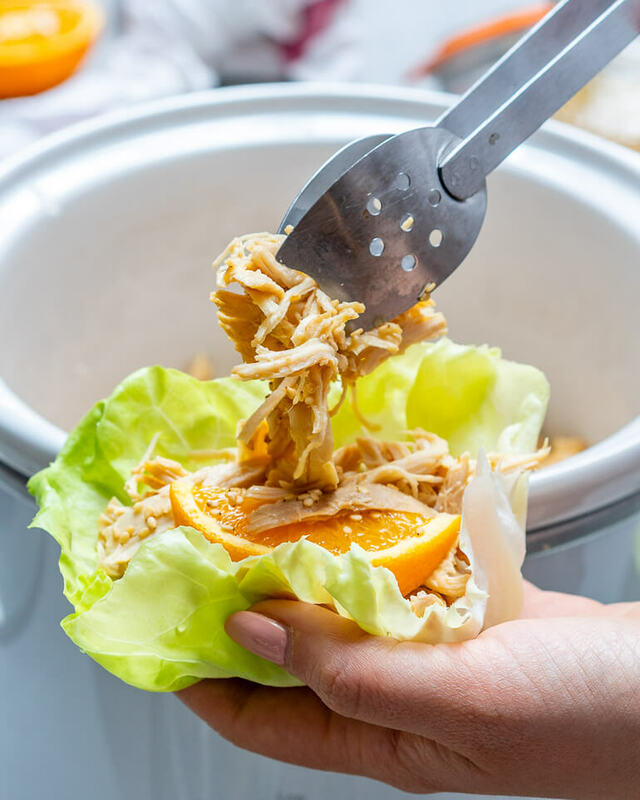 Season chicken with sea salt and pepper, then place it in your slow cooker. Pour in the orange marinade. Cover and cook on HIGH for 3 – 4 hours or on low for 7 – 8 hours. 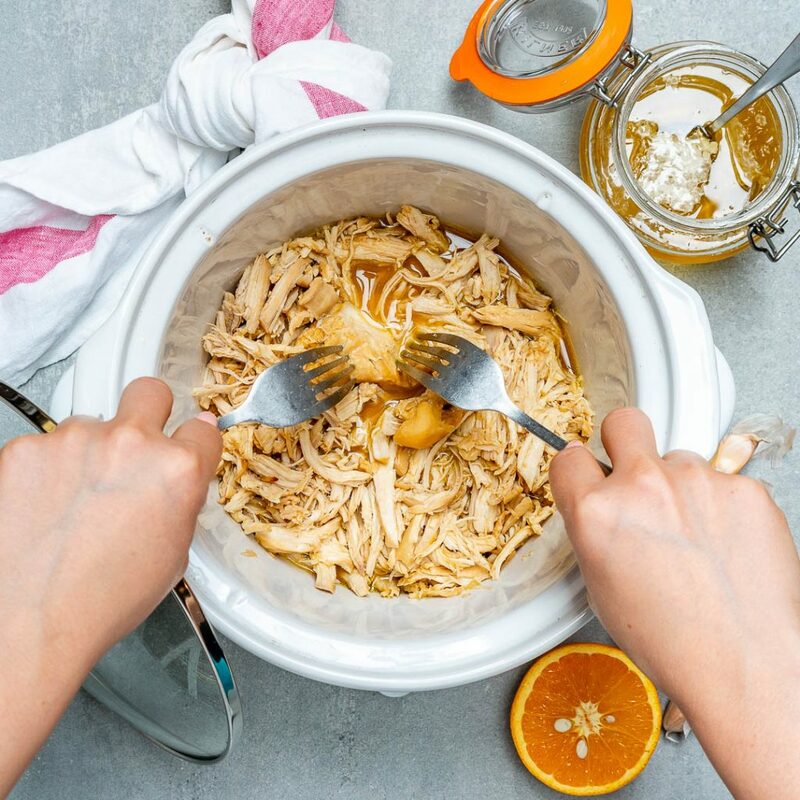 Once chicken is cooked through, shred with two forks. 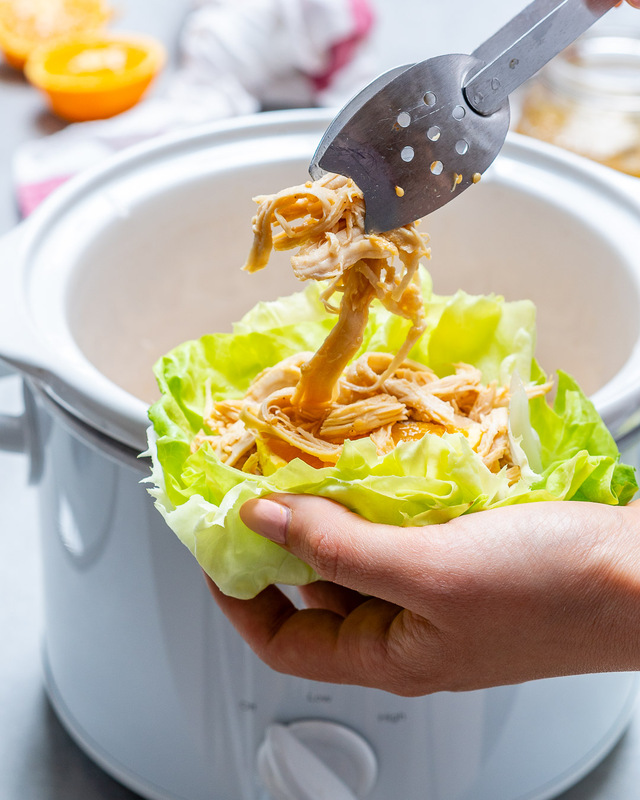 Serve by placing spoonfuls of chicken into crisp leaves of lettuce, sprinkle with sesame seeds and enjoy!